As explained in this blargh. Gonna be taking a week or two off while I work on some SS&E stuff. 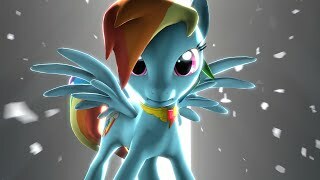 Will continue Rainbow Dash and the Sparkling Spiders soon. Just kidding. This story's grim as f_ck. Uploading in a few days. As you all well know, your friendly neighborhood Imploding Colon doesn't talk very much. I'm not sure if it's just because he's shy or he can't communicate in words that don't include onomatopoeia, but blogging just isn't his thang.